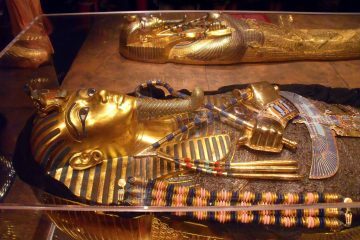 DAHSHUR, EGYPT – archaeologists have discovered a burial chamber they believe may be home to an Egyptian princess. It rests inside a 3,800-year-old pyramid in the outskirts of the city. For years, archaeologists and historians have been baffled as to why two pyramids at Dahshur seem to belong to one pharaoh: Pharaoh Ameny Qemau (also sometimes spelled Qemaw). Qemau ruled Egypt in 1790 BC. “There is no reason why he should have built two pyramids of his own,” Aidon Dodson, a researcher with the University of Bristol in the United Kingdom, wrote in a paper on the Dahshur pyramids that he co-authored in 1998. The first pyramid was discovered in 1957, and is located just 2,000 feet away from the second pyramid. 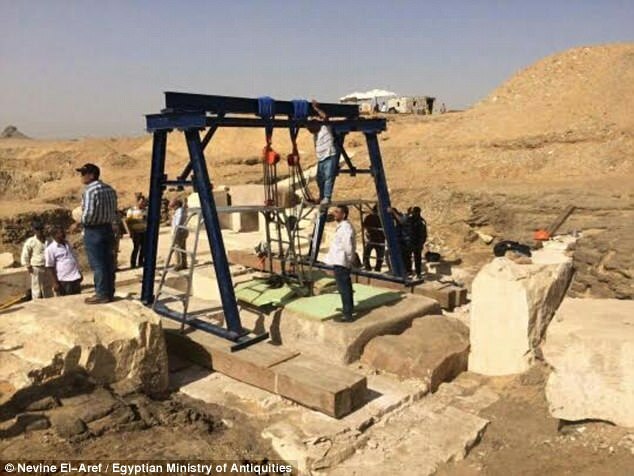 This year, a team with the Egyptian Antiquities Authority have finally begun exhuming the second pyramid. Their new discoveries may shed light on why Qemau seems to own two monolithic tombs. Archaeologists don’t believe this is the famous Hatshepset of Egyptian history, but rather a namesake: the daughter of Qemau. The famous Hatshepset reigned three centuries after Ameny Qemau. James Allen, an Egyptology professor at Brown University, deciphered the inscription. According to him, the names on the box tell us that it was used to house canopic jars. Canopic jars were used by Ancient Egyptians to hold the internal organs removed from a mummy. The jars are gone now, probably stolen by tomb raiders long before the grave was ever found by archaeologists, but the wooden box still remains. “I presume Hatshepset was a daughter of Ameny Qemau, and that she was buried in her father’s pyramid,” he added. According to Aidan Dodson, the box along with the pyramid is somewhat of a puzzle. Dodson believes that Qemau may have usurped the pyramid, removing his predecessor resting there and refurbishing the tomb to house one of his daughters. For now, that’s the theory that archaeologists and historians seem to be going with. 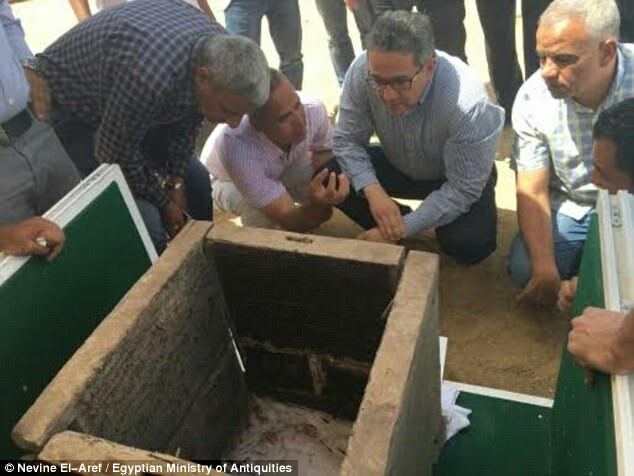 In addition to the box, the Egyptian Antiquities Authority has announced that they’ve found a poorly-preserved sarcophagus in the burial chamber. Excavations are ongoing, and they’ll be sure to announce if they find anything else of note. Perhaps the tomb still houses the mummified remains of Hatshepset, finally discovered after all these years alone in the dark.